If you haven’t been living under a rock for the past year and a half, you probably know about the Trump administration’s efforts to reform the nation’s welfare programs—which many on all sides of the aisle agree is something that needs to happen. President Trump’s methods primarily involve instituting a work requirement for people receiving government aid. 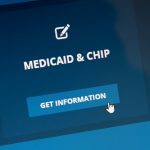 The administration’s latest idea: allowing more states to impose mandatory work requirements for their Medicaid programs. The trouble with all this “making America great again” by “saving government money” and getting “lazy people who won’t work” off the welfare rolls is that the measures the administration wants to impose either already exist or have already been proven to do nothing to decrease poverty. So while imposing mandatory work requirements sounds like a fine idea on the surface, it’s not likely to solve any of the real issues with the U.S.’s welfare programs. But wait, it gets better. 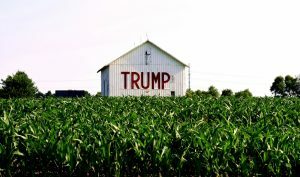 It turns out that the Trump administration’s Medicaid reform efforts conveniently favor rural, white residents—people who voted overwhelmingly for Trump in the 2016 election. That’s surely just a coincidence, though, right? In Kentucky, Michigan, and Ohio, which are controlled by Republicans, waiver proposals would require Medicaid recipients to work a certain number of hours in order to retain their medical benefits. Medicaid has never before had a work requirement, and it should be noted that many people who receive Medicaid actually do work full-time, but at low-paying jobs that don’t offer health insurance benefits. Interestingly, the waivers requested by the three states mentioned above include exemptions for the counties with the highest unemployment rates—which tend to be rural, GOP-leaning, and mostly white. For example, the waiver in Kentucky exempts eight counties in the southeastern part of the state, where white people constitute more than 90 percent of the population. Meanwhile, northern Kentucky, where the work requirement will be implemented first, include counties with a higher percentage of black residents. Ohio’s Medicaid work requirement proposal, which was recently sent for federal approval, shows similar problems. Urban residents of color in Cleveland and Columbus would be much more affected than the rural white residents in the rest of the state. In Michigan, the state legislature is trying to pass a bill that would require people enrolled in the state’s Medicaid program to work at least 29 hours per week or lose their benefits for a year. The problem? While African Americans compose about 23 percent of enrollees in Michigan, they would constitute just 1.2 percent of the people eligible for an exemption. But the 57 percent of Michigan Medicaid recipients that are white would make up 85 percent of the people eligible for an exemption. Attorney Leonardo Cuello of the National Health Law Program, which is bringing a federal lawsuit on behalf of Kentucky residents, said that even though the exemptions are designed to solve a real problem—the lack of work opportunities in many areas—they are still racially biased. What do you think? Are the requested exemptions for Medicaid work requirements racially biased? Let us know in the comments. What Does a Welfare Queen Really Look Like? How Can We Enact Meaningful Welfare Reform?